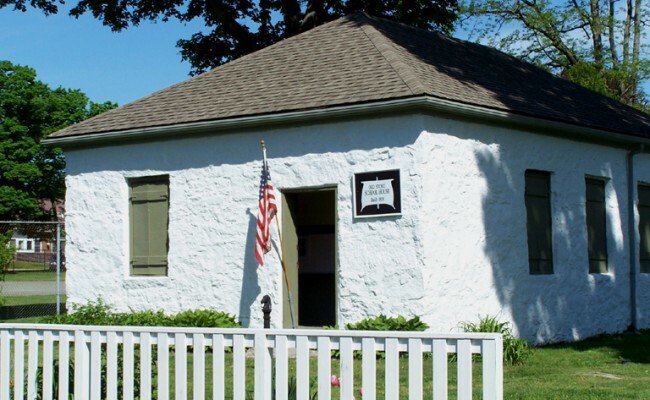 Built in the Oxford Village neighborhood of Fairhaven, Massachusetts, in 1828, the Old Stone Schoolhouse was the town’s first school built under the district school system. In the 1840s, young Manjiro Nakahama was a student here. Restored in the late 1960s, the schoolhouse is open to the public on Saturdays in June, July and August to teach about New England school days of long ago. 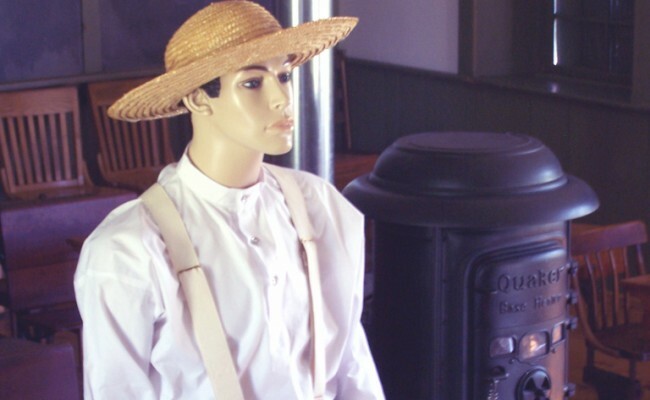 When you visit the Old Stone Schoolhouse, you will be greeted by a costumed school master or mistress who will talk to you about the educational system in the 1800s. You’ll learn about a typical school day in a classroom where children from ages four to sixteen would learn together. 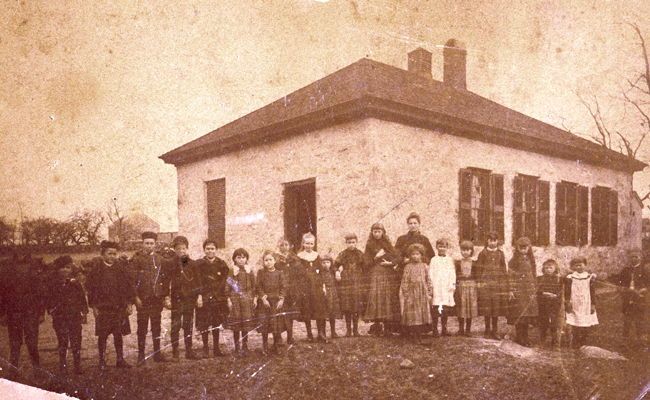 The schoolhouse contains old photographs of students and teachers, a collection of antique school books, slates and writing instruments, and other items used in one-room schools. 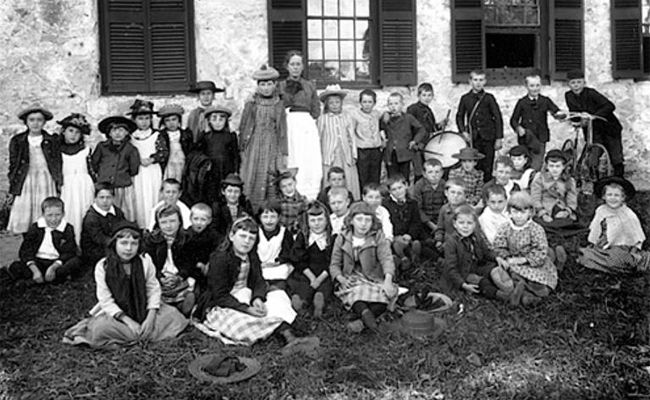 Children may sit at desks, look at old-fashioned school books and write on a slate with chalk or a slate pencil. Older children may practice writing with a brass nibbed pen dipped in ink. They will be taught about discipline in the classroom and the sorts of punishments that resulted from misbehavior. They may be asked to recite a short poem or some arithmetic facts from memory. 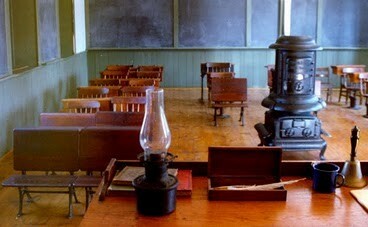 PLEASE NOTE: The Old Stone Schoolhouse has no electricity and no running water. There are no restroom facilities on site. For further information, call the Fairhaven Office of Tourism at 508-979-4085 or email f[email protected].